May | 2012 | Oh, I Juggle! I was at home taking care of my five year old when I decided I needed to find my passion. I was searching for clues to find the one thing I would love to do on a daily basis , possibly make a living out of. The major condition it had to satisfy was, it should wake me up in the mornings. You can guess how difficult it is for me to wake up early in the mornings. This would be the perfect test. If the work excited me enough to make me want to wake up earlier on a consistent basis, I had a winner. Books have always been the love of my life. I love to read. I love how a page feels between my fingers as I turn it. I love the smell of books, old and new. I love to see row after row of books on shelves in a library. It is not just the words. It is the entire experience of finding something good to read and then reading it. But when I looked for some pointers for finding my passion, I never thought about books. Although I loved to read and even sometimes wrote to express myself, I didn’t think I would like to contribute in any way to the making of a book or even reading to review it. Putting my writing on display to impress and be judged seemed to take the joy away from it. Analysing a book by splitting hairs certainly did the same for reading. So, I kept looking. Didn’t find anything worthwhile. Finally I have decided to give words a try. Conceive, execute, polish and perfect a full length work of fiction. A novel. As I work on it I realize what I had feared. I was afraid that inspirations don’t last. I know now that they don’t. Brilliant writing is rarely pure inspiration. It is the work which goes into polishing the first draft that makes a written piece truly shine. I ask myself not if I would love to write, but if I would love to revise. It was yesterday. I didn’t want to write about it. I am not really a ‘Day’ person. Maybe it is because there are too many ‘Days’ and the novelty has worn off. I usually refrain from making a big deal of celebrating these days. Why should we have a special day for anything? Shouldn’t you value and cherish relationships on a regular basis rather than wait for an annual reminder? Doesn’t it become mechanical when you pretend to care just for the day? 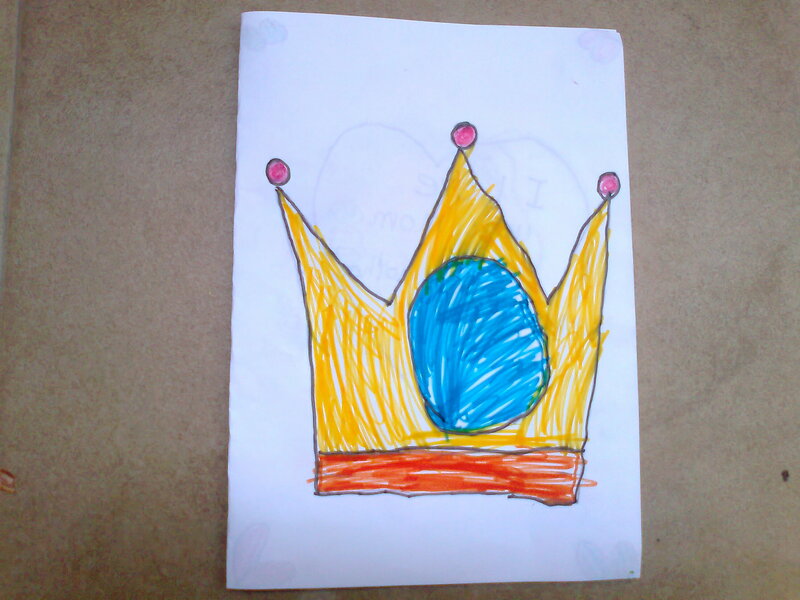 Then my 5 year old daughter gave me this beautiful card for Mothers’ Day. It was the most wonderful feeling. 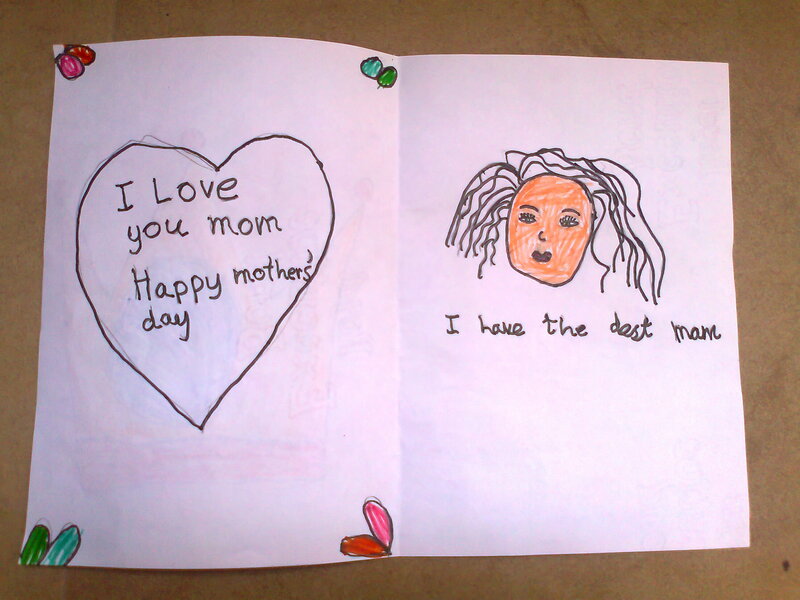 And even though I had to work on her spellings, I realized I had been a bit harsh in judging the motivation behind celebrating a day for the most cherished relationship of all. The relationship which forms the foundation for all other relationships we form over our lifetimes. Most of the time we are all just rushing past each other. So busy all the time. Doing things we have to do. Squeezing time in for the things we love. Acknowledging one another’s presence but not having enough time to do that little extra which makes all the difference. Maybe there is nothing wrong with taking time to stop, reflect and feel gratitude for a special relationship. Most times we do feel the need for a reason to do something. A dedicated day can be a good reason.